His remarks were not exactly in the spirit of the sport. Royal Challengers Bangalore and Kolkata Knight Riders played out a decent IPL match in Bangalore on Sunday, which was comfortably won by KKR in the end by 6 wickets. However, amidst the joyous celebrations of KKR winning the game, something big went unnoticed by pundits and spectators alike. During the game, RCB skipper Virat Kohli made a few gestures and then a comment targeting KKR spinner Sunil Narine. However, his remarks were not exactly in the spirit of the sport and didn’t seem to amuse anyone. Kohli apparently took a dig at Sunil Narine’s reworked action and his gestures referred to the alleged ‘illegality’ in West Indian’s action. “Virat Kohli just said at the completion of over “Battaa mar raha hai (he is throwing the ball)” to the umpire referring to Narine said a Twitter post. 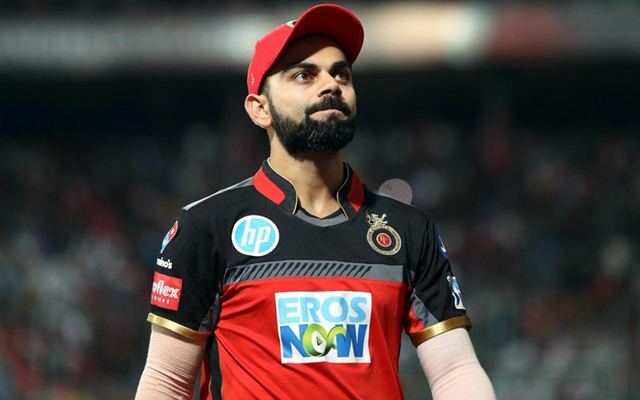 However, defending the situation which could turn sensitive if fuelled, RCB manager Avinaash Vaidhya expressed ignorance and stated that it was all hearsay and that there was no confirmation from the match officials. Nigel Llong and Anil Chaudhary were the umpires and it was clear that the RCB skipper was passing ‘judgment’ on Narine’s action. It is not exactly a player’s area to pass judgment on bowler’s actions and as per rules, is an umpire’s job. The action is reported by the umpire to the regulator, the BCCI, ICC or the MCA. Narine’s action has been reported many times in the past, most recently, in the Pakistan Super League (PSL). Pune Mirror newspaper reported that the two umpires and match referee Manu Nayyar did not find anything wrong with the bowler’s action. The BCCI officials also told the newspaper that they have not received any complaints from the match officials.